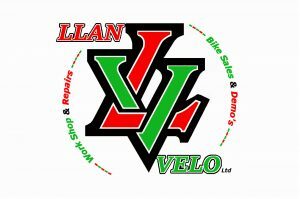 www.llanvelo.co.uk is a site operated by LLAN VELO LTD (“We”). We are registered in England and Wales under company number 10115223 and have our registered office at 1 Hafod Y Coed, Garth Rd, Llangollen, Wrexham, LL20 7UY. Our main trading address is 1-3 Berwyn St, Llangollen, Denbighshire, LL20 8NF. Our VAT number is 238 6671 74. If you know or suspect that anyone other than you knows your user identification code or password, you must promptly notify us at Sales@llanvelo.co.uk. Please note that we only provide our site for domestic and private use only. You agree not to use our site for any commercial or business purposes, and we have no liability to you for any loss of profit, loss of business, business interruption, or loss of business opportunity. Limitations and exclusions of liability apply to liability arising as a result of the supply of any goods by use to you, which will be set out in our Terms and Conditions. If you wish to make any use of content on our site other than that set out above, please contact us through Sales@llanvelo.co.uk.